According to a leak on tmonews.com, HTC has already made available its 3G Flyer tablet on the T-Mobile network earlier this week. The catch, however, is that the 3G-enabled device is currently for business-to-business (B2B) customers only. Exactly when the device would be made available to the general public is unknown, although the T-Mobile 3G Flyer did make a stop at the FCC earlier this year with approval for both 3G and HSPA+ communications. Signs of a widely available 3G Flyer for T-Mobile were leaked as early as March 2011. The 7-inch Flyer launched May of this year with a single-core 1.5GHz Snapdragon CPU, 1GB RAM, a 1024x600 resolution display and Android Gingerbread. 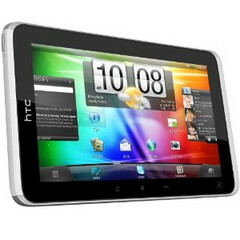 Sprint currently offers the tablet with WiMAX compatibility. If the leak is proven correct, business users should be able to get their hands on the T-Mobile 3G Flyer for $399 with a two-year contract or $499 with a one-year contract.